Food carts are successful business ideas these days. For startup entrepreneurs who want to easily and effectively get into this practical venture, there are reasonable, yet lucrative opportunities from Entrepinoy Foodcart, Inc.
<>When the concept of franchising was initially introduced in the country almost 20 years ago, there were just 50 different franchisors that aimed to entice local entrepreneurs to try the setup. Of those, more than two-thirds were major foreign brands, mostly from the US, including KFC and McDonald’s. Based on the information published on this Website in October 2011, there were over 125,000 franchised outlets of about 1,300 various brands and concepts scattered nationwide in 2010 (from the data shared by the World Franchise Council). Out of those franchised businesses, 42% were in the food industry, 34% were in the retail sector, and around 24% were into retail. As of that same year, it was estimated that over 1.02 million jobs were created by franchised businesses. Of course, it is quite obvious that over the past four years, the digits have further increased. Food cart businesses are apparently dominating the franchise industry these days. One of the businesses that offer various food cart brands is Entrepinoy Foodcart, Inc. The company has a unique formula for success: the right kind of merchandise + good location + attractive carts + competitive pricing scheme. Entrepinoy targets local consumers through products that would help satisfy their hunger even while they are on the go. Thus, they have food carts that sell noodles in bowls, flavored shakes, rice meals, French fries, shawarma, burger, pizza, lumpia, sandwich, sweet corn, nachos, siopao, and even the all-time favorite dessert of most Pinoys, halo-halo. Being a versatile food cart franchising business, the company makes sure its packages can easily attract startup and small-capital entrepreneurs. 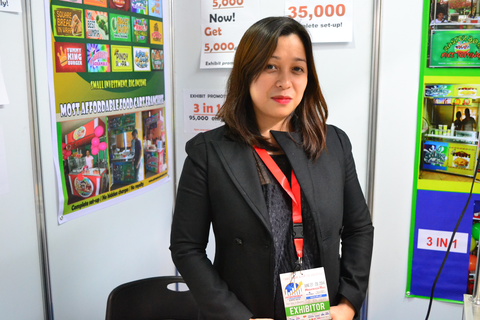 According to its marketing manager Dabby Medina, one needs to spend just as low as P35,000 to be a franchisee of any of Entrepinoy’s food cart brands. As for the location, Entrepinoy does not limit outlets to shopping malls. “Our food carts can be located at transport terminal hubs, schools, municipal or city halls, or just about any site where potential customers can easily find the outlets. A food cart can even be located in one’s front yard, making it ideal for housewives, retirees, and home-based professionals,” said Medina. The process can take about two to three weeks to complete. The franchise package includes about P1,500 worth of initial supplies. Franchisees are also provided the option to adopt strategies that can further boost his/her income potential, as long as he/she seeks approval from the company before implementing those. Who is qualified to be Entrepinoy’s franchisee? Medina asserted that anyone can apply for and be approved to buy any of their franchised carts. “Ideally, he or she is at least 21 years old. Consent of parents is required from franchise applicants aged 17 to 18 years old. Foreigners are required to be represented by a Filipino business partner,” she said. Medina added, “Entrepreneurs with or without business or franchising experience are welcome.” The firm offers free training to franchisees not just about practical business management but also about product development. Lastly, Entrepinoy maintains that it is a franchising consultancy agency. Its franchisees can instantly and easily approach the company if they need help and guidance especially about managing their franchised food carts. 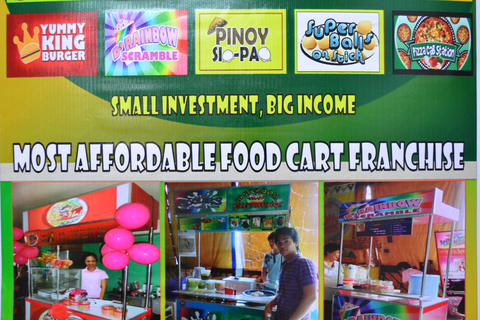 Be among the numerous entrepreneurs who get food cart franchises from Entrepinoy. Check out its online directory listing here.